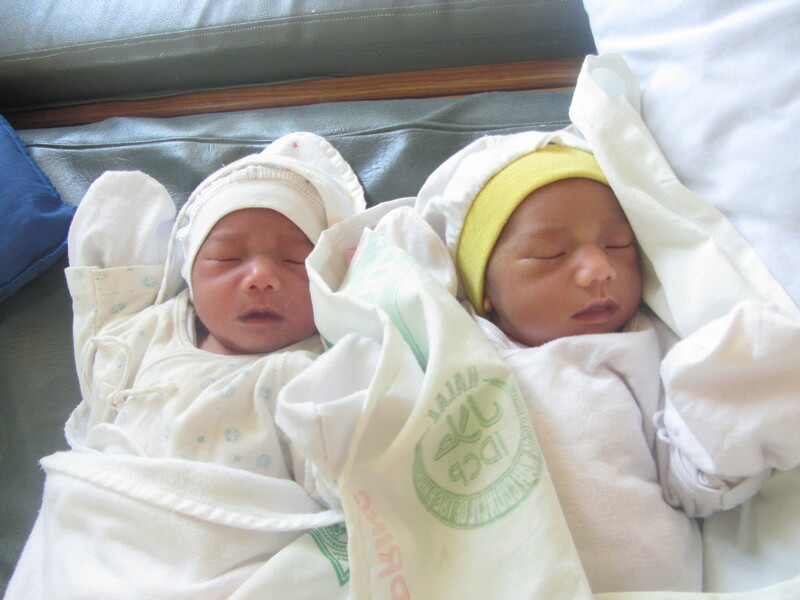 Okay, first off we delivered identical twin girls at our clinic in the middle of March! 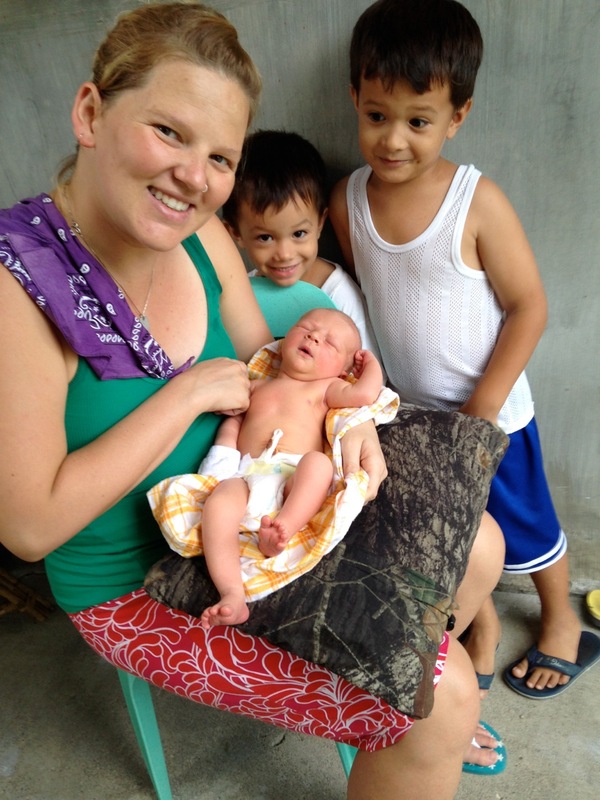 This was the mother’s tenth pregnancy. In a regular prenatal check-up her midwife noticed that she was measuring large for dates. She was sent for an ultrasound … she came back with a BIG smile on her face and told us that she was pregnant with twins! About a month later she came back to the clinic in labor. No chance to decide whether or not to take her to the hospital – these girls were on their way! It was a beautiful birth attended by about a dozen excited midwives. The twins mother is sitting next to Jackie who is holding the babies! A very excited staff and babies’ family members all around. Next, I got to “catch” my first ever white baby! 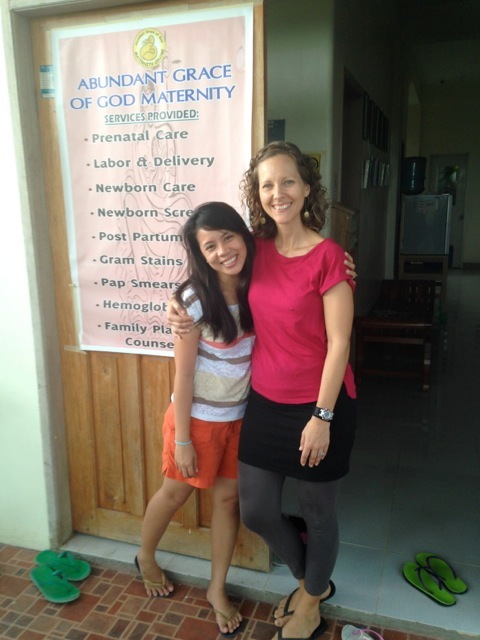 One of my missionary-midwives-in training took the whole practical learning experience to another level! Edolbina, and her husband Andrew welcomed their first child Ariel Cornelius on April 29 at 3:12 am. It was an honour to be a part of Ari’s birth. My boys are a little smitten with this guy as are we all! Ariel Cornelius with Lucas and Emmaus admiring him. I have also been making numerous trips up to our sister clinic in Bugnay over these last few months. My wonderful staff are currently awaiting a new clinical supervisor and so I have been trying to help them out and encourage them as much as possible. The Bugnay Clinic Staff and their daughters! In May my friend and fellow midwife, Jen Sawchenko and her daughter Ella, along with Filipino midwife Marielyn Basak, visited from Cebu City and accompanied me to Bugnay. They taught at a seminar for the mothers and staff regarding best breastfeeding practices. Mar and Jen outside the clinic. 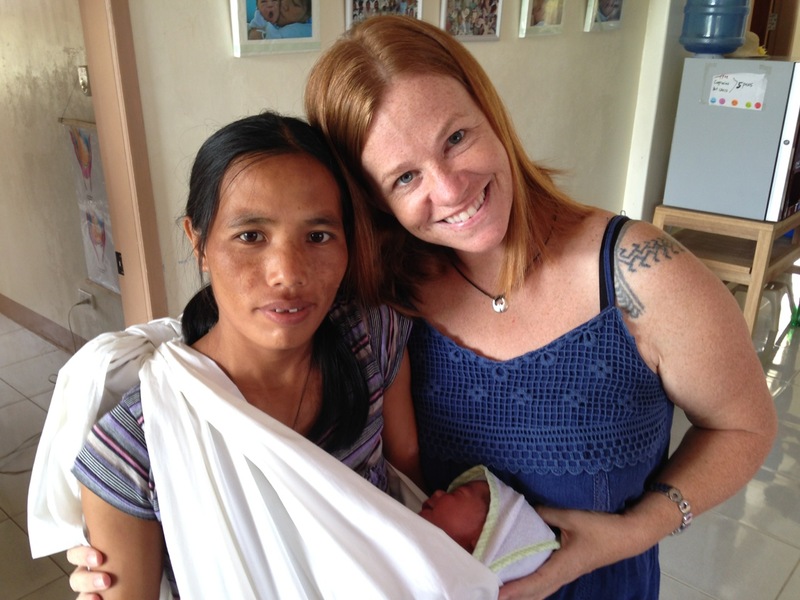 Jen shares at the Bugnay clinic – Ella helps her! Along with all these happenings we still continue to do almost 100 prenatal check-ups and postpartum visits a week and reach out into 3 villages in the community and deliver over 20 babies per month. Me and Lukay before she heads home to her village. Thank you everyone for your support that makes us able to do all of this! There are many more stories to tell, but it will have to wait for next time. I have a good one coming … Stay tuned!